Susan is vice president of Christian Authors Network (CAN), a member of the American Christian Fiction Writers (ACFW), the Advanced Writers and Speakers Association (AWSA), and Evangelical Press Association (EPA). Susan lives in Colorado and enjoys travel, water aerobics, reading, and spending time with friends and family. Here you can read ongoing interviews with Susan as well as enjoy some trivia, get notices of events, etc. Stop by regularly and see what’s new. You never know what might show up. Enjoy! 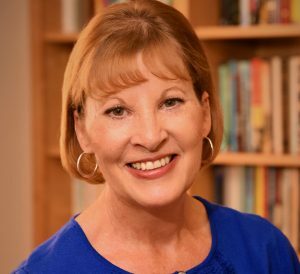 An interview with author Susan G. Mathis. How did you get started in your writing career? My mother quips that I started my writing career when I signed my crayon drawings—on the foyer wall—with a great big “S”! Though I’m not sure that was the start I planned on, I really can’t remember not writing. What were the first two books you wrote? Countdown for Couples: Preparing for the Adventure of Marriage (2008). Since my husband, Dale, has two masters degrees in counseling and I love helping people, we serve in the premarital ministry at our church. But when we started, we couldn’t find a good premarital book to help couples, so we decided to write it. What a fun and rewarding experience that was, so a few years later we did it all again when we wrote a premarital guide for remarrying couples, The ReMarriage Adventure: Preparing for a Lifetime of Love & Happiness. Both The ReMarriage Adventure and Countdown for Couples are easy-to-read premarital guides that will help individuals, couples, pastors, counselors, small groups and/or premarital classes prepare for the adventure of remarriage. We also include helpful questions and discussion starters. We hope, one day, all churches will prepare their couples to marry, and using these books would be an easy way to do that. What projects are you working on now? I’m working on Sara’s Surprise, a Christmas novella that releases in November, and then I’ll get busy writing book three of the Thousand Islands Gilded Age series. Katelyn’s Choice, the first in the Thousand Islands Gilded Age series just came out and book two, Devyn’s Dilemma, comes out in April 2020. My first novella, Christmas Charity, released in November 2018, and I’m officially hooked on writing fiction! I can’t believe I get to do what I love to do every day! My first historical fiction, The Fabric of Hope: An Irish Family Legacy, is about an 1850’s Irish immigrant and a 21st-century single mom who are connected by faith, family, and a quilt! What has been one of the greatest challenges in your writing career? For over 20 years I worked with words in my day job, so at the end of the day, I rarely had enough creativity to write for fun. But eight years ago, I left my work as an editorial director to write full-time, and it’s been a little piece of heaven. Being able to do what God created me to do—write!—is an amazing and rewarding experience. What do you enjoy most about writing? Eric Liddel said, “When I run, I feel His pleasure,” and I can sure relate. When I write, I feel His pleasure! I love sharing what God has taught me through the years, and I hope my readers will learn some things and be spared some of the hard knocks I experienced along the way. What do you do when you’re not writing? I enjoy serving in our church, in the community, and around the globe. Dale and I enjoy traveling as well, both domestically and internationally. It’s simply a joy to explore this amazing world and learn about all the cultures and people. But I must admit, visiting and Skyping with my precious missionary family in South Africa is always a highlight of any day. My eight-year-old, six-year-old, four-year-old and two-year-old granddaughters fill my world with laughter, love, and learning with every visit, whether online or in person. What is your go-to food or special treat? I’m half Irish and half English, so tea is definitely my comfort drink! I can’t imagine not sipping tea from a china teacup as I write. That’s why you’ll see a steaming cup of tea on my desk and in my novels.